Click on a county to view a report on funding for that county (PDF). 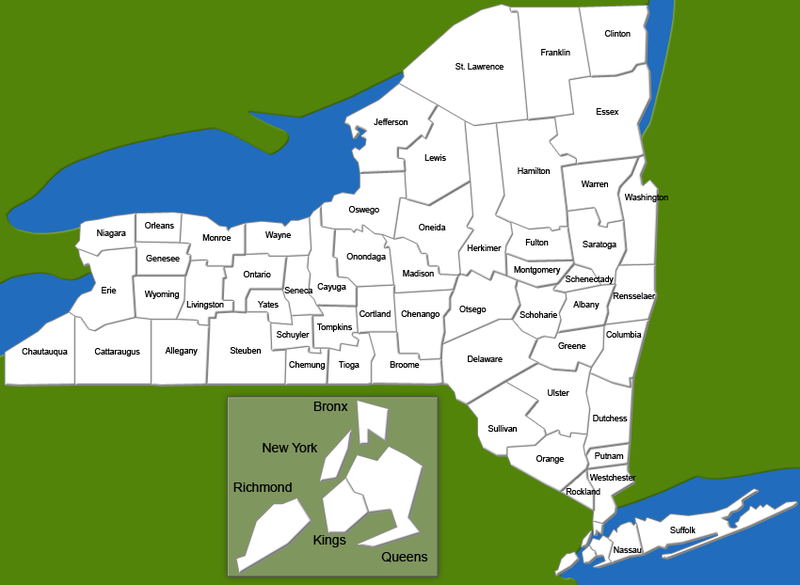 Interactive map of OPDF-administered criminal justice grant funding to New York State's Counties. Click on a county on the map to view a report on funding* for that county (PDF). This information will be updated on a regular basis. *Funding information supplied by the GMS database as of the date indicated on the report; includes executed contracts, and contracts currently in the approval process.